‘Nothing says glamour like fur’, I remember reading that in one of the copies of a fur company – it sure says it all. Fur fashion has been one of the lofty coveted lines in the fashion industry; high fashion at some point has fur as one of its defining elements to make up a superior couture line. Fur fashion exudes a kind of classy and elegant aura for the wearer, no wonder why for the longest time in the fashion commerce, celebrated designers every now and then always have this element integrated in their designs. This American lynx coat for example is to die for. It’s the finest fur coat you can ever see around America, it’s made from a furrier company with 59 years of experience in fur fashion making; hence, it would only mean one thing – quality. 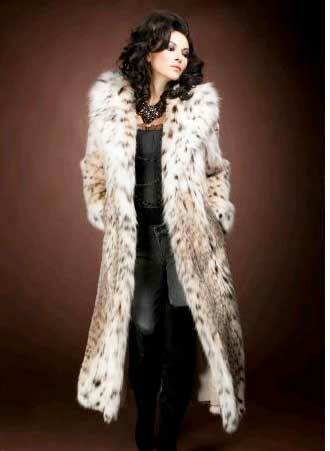 I found that lynx coat at ML Furs, this site offers all awesome clothing items fur related, they have fur accessories, jackets, vests, shawls, scarves, parkas, ear muffs and many other fur clothing you can’t resist, you can check out their site at www.mlfurs.com to place your orders and for more details. On the hindsight, while fur fashion is one of celebrated have-ons by those who have, it is also one of the most politically draped fashion items, owing to the fact that wearing one corresponds to spoiling of innocent animals and advocates are poignantly opposed to this. But on the contrary and looking at it in a more logical and environment associated perspective, I even find fur fashion a more responsible choice as evidently it comes from a highly sustainable and renewable resource, unlike the faux fur that are made from petroleum-based products and are even non-biogradable. In fact, our ancestors have been the early subscribers of this kind of fashion. so true! glamorous jud basta fur...pero tawon hastang mahala man sad! way ukay ukay ana? hehehe! sensya na te karon lang jud ko kalaag...thanks for dropping by! @Dhemz... hahaha.. kung naay ukay ukay dili sad ko mupalit kay mura tag ga sauna ani run... perting inita pud siguro ni hahahaha..